The digital environment is developing at a rapid pace, so it’s thrilling to think we are part of this shift in how brands speak to their customers. The clichéd image one has of tourists is of a group of strangely-dressed people tucked safely behind bus windows or buffered from their surroundings with their giant cameras. This imagery is increasingly false – tourists are becoming travellers, and the difference is significant. Anyone can grab a map, board a plane or book a tour. The current shift has at its heart the key word “experience”. The “travel like a local” trend is all about experience, an immersive one that turns traditional tourism on its head. What is most remarkable about it is that it’s a fluid form of travel that is not prescriptive, it is organic in that each person contributes to the success of their own experience by getting to the heart of a destination. If you wanted to do this, the best way would be to hear from the locals first-hand what the most essential elements are in a trip to their home towns. At the planning stages of a trip, it may not be possible to have real conversations with locals, that’s where online research proves most valuable, and this has been part of Cape Town Tourism’s digital journey since 2006. More than a simple Google search, visitors are also employing the search functions within social media channels—if you search on Facebook, for example, using keywords, you can get right to the heart of what’s going on in a destination. This kind of searching can lead you to local businesses and their special offers. Besides the search for information, would-be travellers can tap into local communities for their advice, perhaps even making online friends. Crowd-sourced advice is the real deal, it’s current and provides a glimpse into what locals value out of the businesses, attractions and experiences around them. Local business people take pride in what they have on offer, and their friends and family will also recommend them. 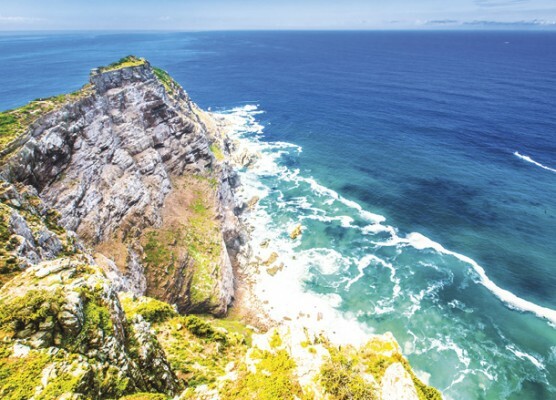 In a destination like Cape Town, many local businesses such as tour companies and restaurants have social media accounts where they’ll talk about seasonal specials, special events and more, it’s a far richer experience to explore a destination like this rather than by browsing a static brochure. If you’re wanting more than one social media channel, hashtags can help you navigate a destination across several platforms. Many big city destinations have adopted a hashtag for this purpose, to curate the experiences of travellers and also to pick up on opportunities. An enterprising business person could find the gaps in the market by doing the same thing. What are visitors looking for that they’re not getting? Is it feasible to provide that? Social media channels amplify the voice of a destination by drilling down through noise of the big attractions to the tiny details that fascinate people. What Cape Town Tourism taps into is the age-old art of storytelling, centuries ago people would gather around a fire and pass the story from one to the next, and this format is ideally suited for generating and maintaining a social media narrative. Nicole Biondi, our Strategic Communications and Content Manager recently discussed this at length. “It’s not always necessary to tell the story as a brand, but content curation can work just as well. 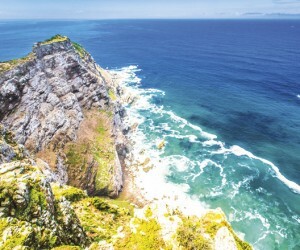 An example would be searching on Instagram for “capepoint”, a search which unearths over 50 000 images. These can be selected and reposted or shared on one’s own account—always remembering to credit the original photographer, of course. Another use for Instagram is the “Instatakeover”; this refers to using someone who has a very popular account to explore an attraction, then allowing that person to use your account. This exposes your account to their followers, hopefully generating interest in the kind of content you are sharing. “Unique and unexpected stories are the key to success, perhaps even to stories going viral, according to change agent Jasper Visser. People relate most to stories they feel they could tell themselves, or to ones they enjoy hearing, and these stories must have a level of real-life moments or connections so that stories told in the digital environment promise some kind of physical fulfillment. This connection alters the response from mild, passing interest to wild enthusiasm. “The digital environment is excellent at providing enhanced, multi-sensory immersive experiences—in the case of tourism, that’s exactly what visitors want—to feel that they are part of the attraction or experience rather than simply observers. Table Mountain, as an example, has delved into this by creating a Voice Map that narrates the experience of exploration, pointing out places of interest, nuggets of fascinating information. These immersive storytelling experiences stimulate the brain, generating memories that can be shared with others. As a destination, Cape Town is ideally placed for such discussions, and it’s with great enthusiasm that we engage with visitors across all of our platforms— Instagram, Twitter, our blogs and website. It allows for a natural conversation where we can learn from visitors and they from us, and, all the while opening a window to all the city has to offer. The digital environment is developing at a rapid pace, so it’s thrilling to think we are part of this shift in how brands speak to their customers. Who knows what the future holds? One thing’s for certain, digital storytelling is transforming the social landscape and opening up destinations to new ways of attracting visitors and showcasing activities and experiences.